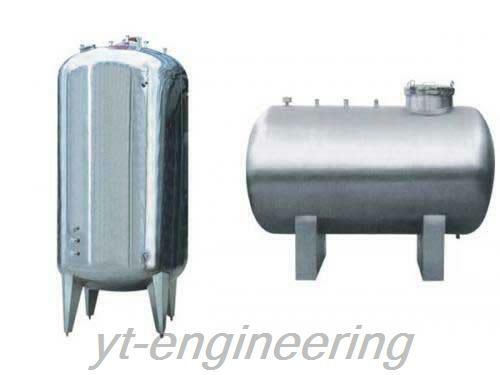 CYG stainless steel storage tank is commonly used for water storage tank, liquid storage tank and temporary storage tank. Compared to ordinary rotational moulding storage tank, it can withstand higher pressure and can be extensively used in many high pressure occasions. This stainless steel stock tank has excellent sealing performance, which completely avoids the harmful substances in the air and mosquito invasion, and ensures the liquid in the tank is free from outside pollution. 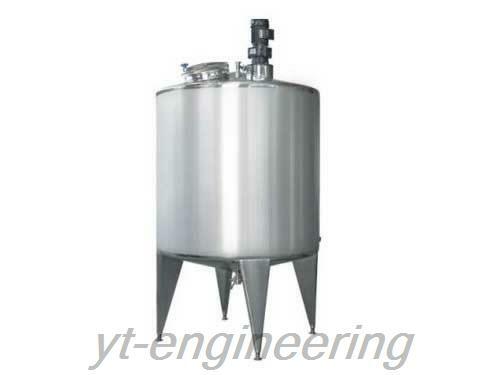 CYG stainless steel storage tank is often used to store food and medicine. It is widely used in pharmaceutical, chemical, health care products, dairy products, beverage, winery and bioengineering fields. Stainless steel stock tank composes of quick-open type entrance, mouth breathing, CIP cleaning ball, feeding and discharging hole, drain hole, discharge valve and tapered legs. 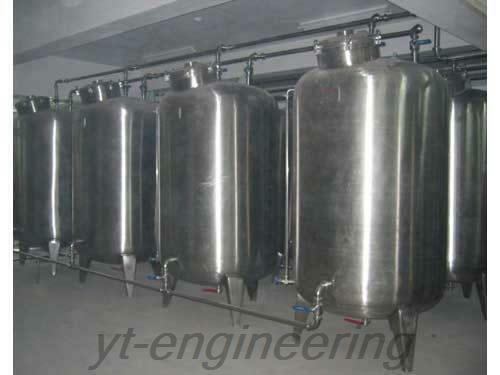 1.CYG stainless steel storage tank is widely applicable with the total volume from 100 L to 12000 L.
2.It consists of two kinds of structures: vertical type and horizontal type. The inner structure has been exquisitely polished. The corner adopts circular arc transition with no dead angle. 4.This stainless steel storage tank can add blenders and heating or cooling jackets as needed. Jiangsu Yutong Drying Engineering Co.,Ltd. 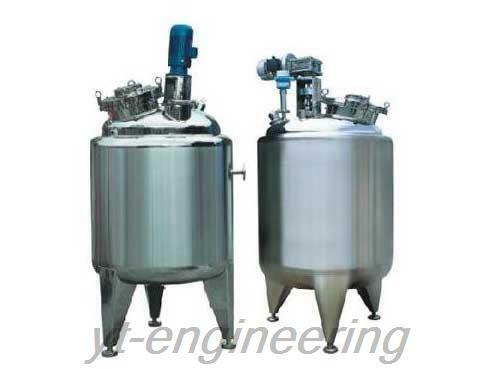 is a professional manufacturer and supplier of tank equipment in China. We possess 10 professional engineers and technical personnel and over 100 sets of processing equipment. 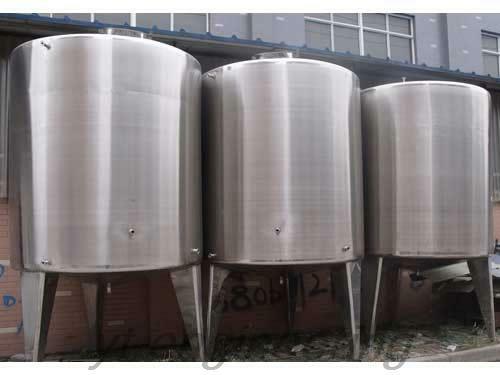 Over the years, we make efforts to the development and production of stainless steel stock tanks. For more information about our stainless steel storage tanks, please feel free to contact us.